In 1992, Edison Chouest Offshore Inc., Galliano, Louisiana, built and delivered a 94-meter research ship with icebreaking capability for use by the U.S. Antarctic Program for 10 years or more. The charter has been extended and is effect until March 2017. The ship, Nathaniel B. Palmer, is a first-rate platform for global change studies, including biological, oceanographic, geological, and geophysical components. 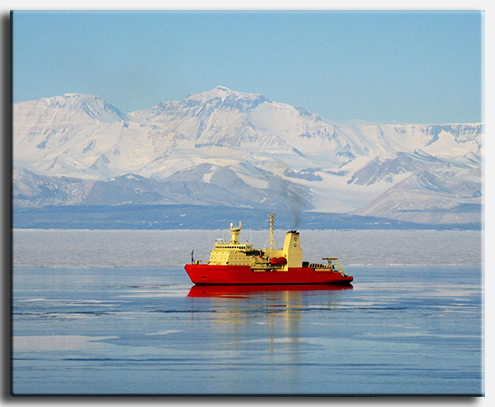 It can operate safely year-round in Antarctic waters that often are stormy or covered with sea ice. It accommodates 37 scientists, has a crew of 22, and is capable of 75-day missions. 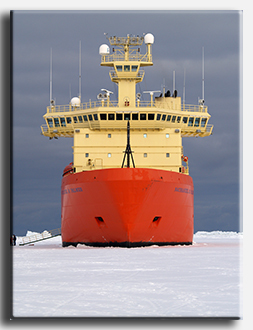 For ship deck layouts, lab photographs, schedules, equipment, ship-user committee issues and a variety of other information regarding USAP research ships, go to the Lockheed-Martin Antarctic Support Contract (LM ASC) Vessel Science and Operations web site at http://www.usap.gov/vesselScienceAndOperations/index.cfm?m=3.